What to do for a broken or knocked out tooth? You’ve broken or fractured your tooth? Once a tooth is broken or fractured through all three layers (Enamel, Dentin and Pulp) this is a Dental Emergency – seek professional care immediately! If not, how serious is the injury? Trauma to the mouth may result in an injury as slight as a small chipping of tooth enamel (the outermost layer of a tooth) to one as severe as completely knocking a tooth out of it’s socket and/or fracturing the jawbone(s). If your broken tooth is the result of trauma to your head or face, go to a hospital emergency room for evaluation immediately. Most hospitals have an Oral and Maxillofacial Surgeon available to diagnose and treat your injuries in addition to emergency room physicians. Can your tooth be saved? Possibly, however it depends if the injury to your broken tooth is serious. I will examine your tooth to see if it can be saved before considering dental surgery to remove your tooth. Why should you save a broken tooth? Physically, our teeth are held in their position largely by the teeth around it. When a tooth is removed, the tooth or teeth above or below it and those in front or back of it, move toward the vacant space. This shifting may change your bite and the way force is applied to your remaining teeth while chewing. You may chip, fracture or break more teeth because of the new stresses applied to those remaining. When teeth significantly lean toward vacant spaces, it may result in gaps that can trap food particles. These areas are at a higher risk for developing periodontal disease. Bone loss and tooth loss may follow. Multiple missing teeth can significantly affect your ability to chew food properly, which facilitates poor nutrition and digestive problems. Socially and psychologically, multiple missing teeth typically cause people to look and feel older and less confident. When front teeth are missing, people tend to smile less and find ways to hide their missing teeth. Even when the mouth is closed, the face may appear more sunken in. The lower third of the face becomes shorter when back teeth are no longer present and there may be a noticeable change in appearance. If the aesthetic impression you make upon others is important, professionally and personally, replacing your missing teeth and considering incorporating cosmetic dentistry into the replacement can have amazing results. What to do if you cannot save your broken tooth and it must be extracted? Single tooth replacement options include dental implants and dental bridges. If more that one tooth is missing, a partial denture may provide a viable option for tooth replacement. Additional tooth replacement options may exist in certain situations. I will be able to discuss your treatment options after examining you. 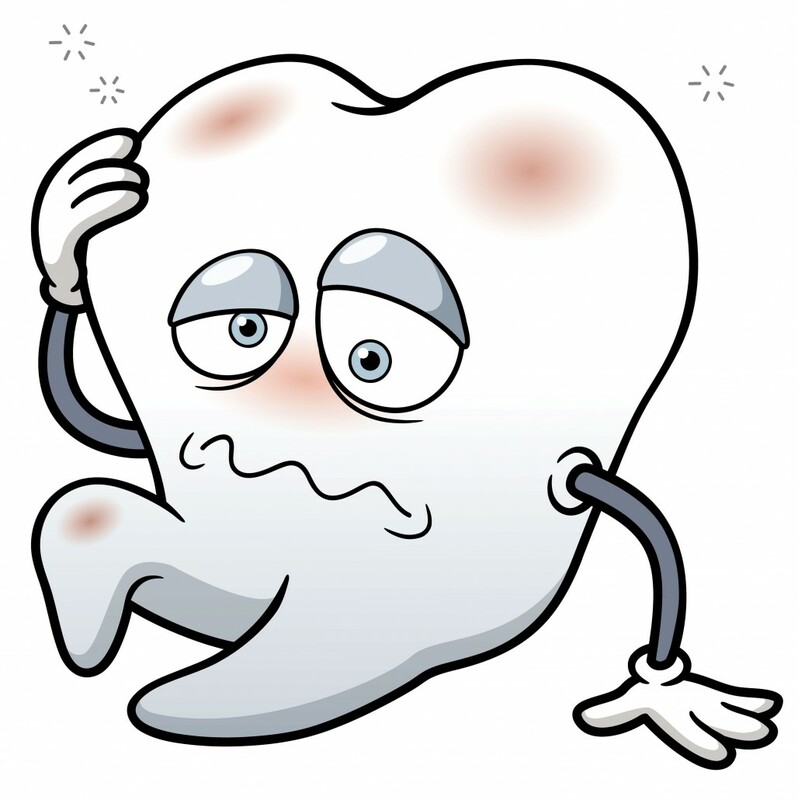 What causes broken, fractured or cracked teeth and other dental injuries? How can these injuries be prevented? Have dental checkups every 6 months to discover problems early and receive treatment before decay undermines tooth structure or fillings, predisposing them to fracture. Once you’ve had a root canal, have a crown placed on the tooth to prevent breakage. During root canal therapy, the blood supply to the tooth is removed, making the tooth brittle and prone to fracture. Have temporary fillings replaced with permanent dental fillings as soon as recommended. Temporary fillings wear away over time, leaving tooth structure unsupported and also prone to fracture. Use appropriate protective equipment. In automobiles use seat belts. While bicycling and engaging in sporting activities wear protective mouthguards. We can help you with that. If you clench or grind your teeth, especially at night, we can fabricate a nightguard for you. Normal pressure during chewing is approximately 175 p.s.i. (pounds per square inch.) During sleep you may generate 300 p.s.i. or more as there is no food to absorb the impact and your protective reflexes are not at work. Properly aligned teeth are much less likely to fracture or absorb a great amount of individual force. Teeth that are positioned in a more forward position than the rest of the teeth are at risk of fracture because they are the first objects to contact during impact. I may even find it necessary that you to see an orthodontist or other specialist. https://andertondentistry.com/wp-content/uploads/2016/01/20898227_xl.jpg 900 898 eanderton https://andertondentistry.com/wp-content/uploads/2015/12/Jocelyn-logo-1.png eanderton2016-01-05 19:49:192016-01-13 23:59:15What to do for a broken or knocked out tooth?